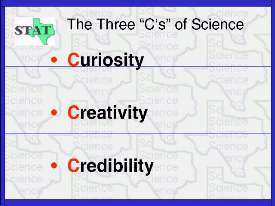 For years, I have discussed publicaly the 3 C's of Science. This is my rather simplistic view of what it takes to be a good and successful scientist. I still maintain that when it comes to the bottom line, these 3 C's really are the base of the pyramid!